Late in November CJ and I went down to Hamble Point to look at the Bofors Gun and the pillbox. That day it had been very muddy on Hamble Common so we hadn’t been able to explore further. Today Commando’s long Sunday run with the Itchen Spitfires took him down to Hamble Point so, naturally, when he got home we compared notes. 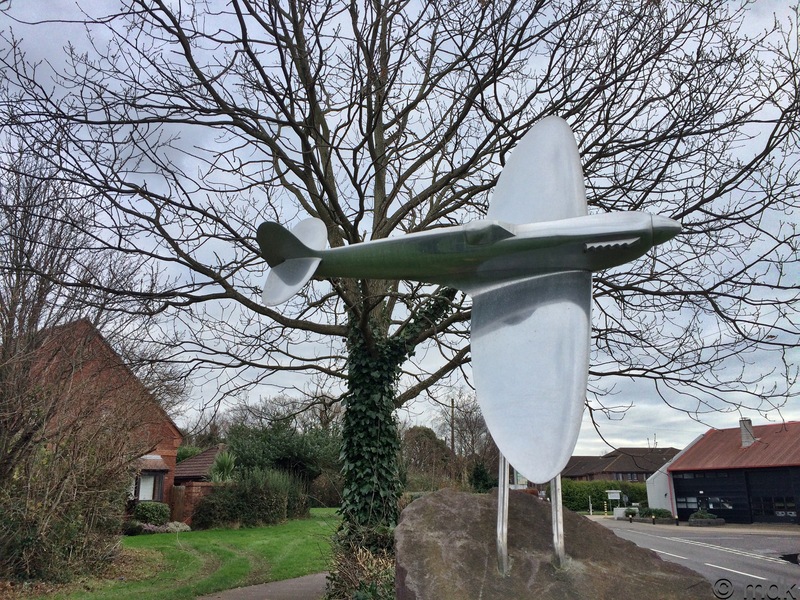 The Spitfires had run along the road rather than on the shingle and we got to talking about the airfield and the memorial to the women of the Air Transport Auxiliary on Hamble Lane. 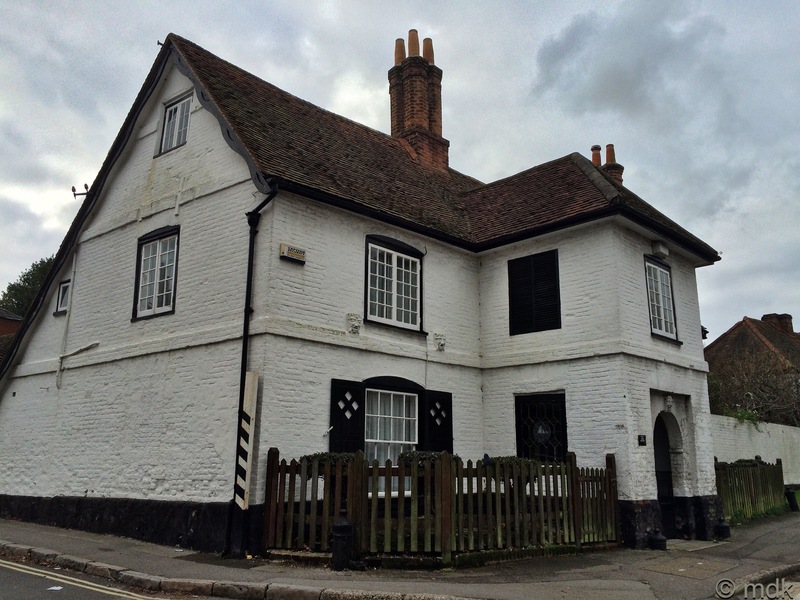 “Did you see the Kray Twin’s house when you were in Hamble?” Commando asked. Of course, as soon as CJ heard where we were off to he decided he wanted to come along so all three of us piled into the car and headed for Hamble. We parked up in Hamble Square and Commando led us down to the marina and along Green Lane, the narrow road that twists up towards Hamble Common. It felt like a magical mystery tour because I don’t know Hamble at all well but Commando, who works there, knew exactly where he was heading. We passed the little cottages I’d seen at the end of my walk back in June and close to the top of the hill he stopped in front of a large, white house. 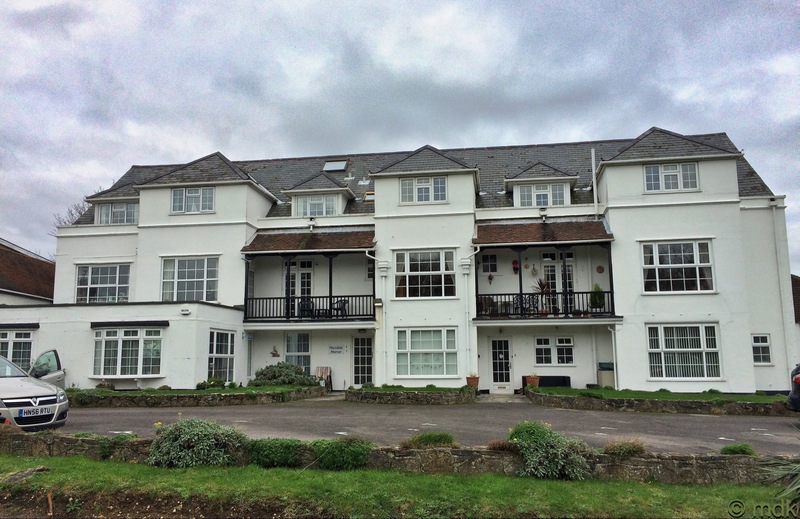 This, it turns out, was Hamble Manor House, now divided up into expensive flats but once owned by the infamous Kray Twins Ronnie and Reggie and used as a weekend hideout when things got too hot in London. It’s hard to imagine the East End gangsters wandering around sleepy little Hamble but, before their arrest in 1968, that is exactly what they did. Whether the locals realised they had two of the top organised crime bosses amomgst them, men who were responsible for armed robberies, arson, protection rackets and, ultimately, murders, remains to be seen. The Krays were certainly famous enough to be easily recognisable. They were often pictured with the rich and famous and had been interviewed on television. Probably the people of Hamble just turned a blind eye, much as they had to the smugglers who historically operated along the coast. We stood for a while looking at the house musing on what must have gone on behind those closed doors then we carried on up the road. Luckily Commando knew exactly where he was going because, without him, I’d have been completely lost. 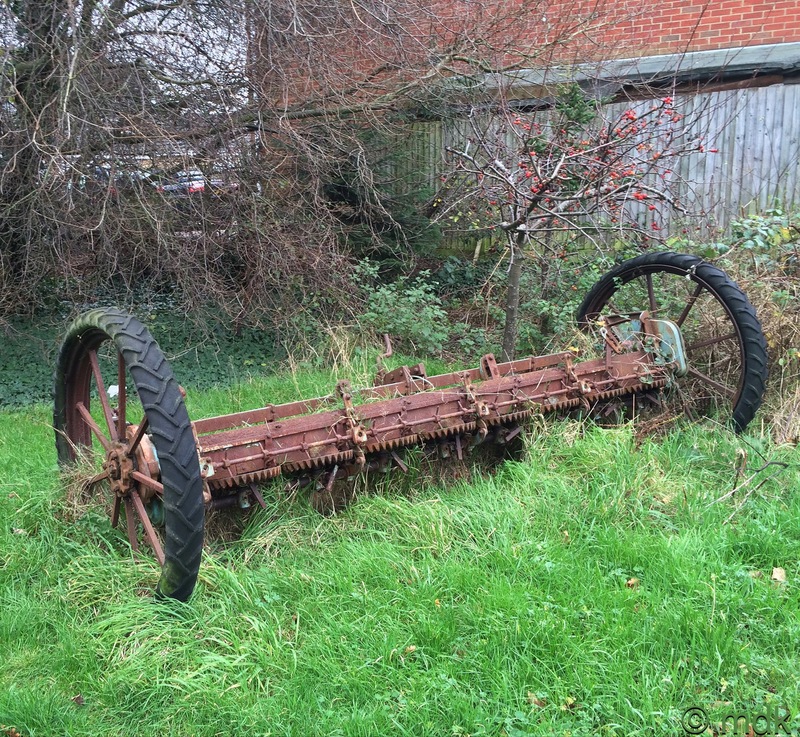 After a great deal of twisting and turning we walked behind some houses and came out on a narrow path beside a field. 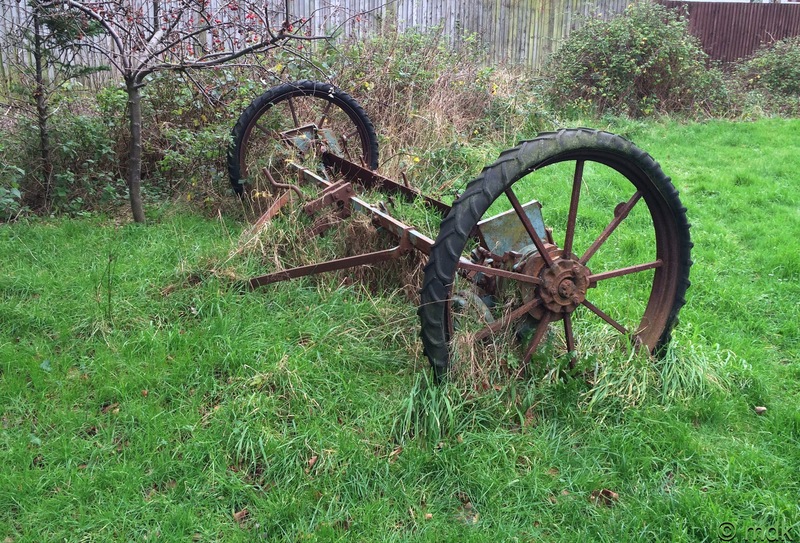 In the rough grass an old seed drill was quietly rusting away. 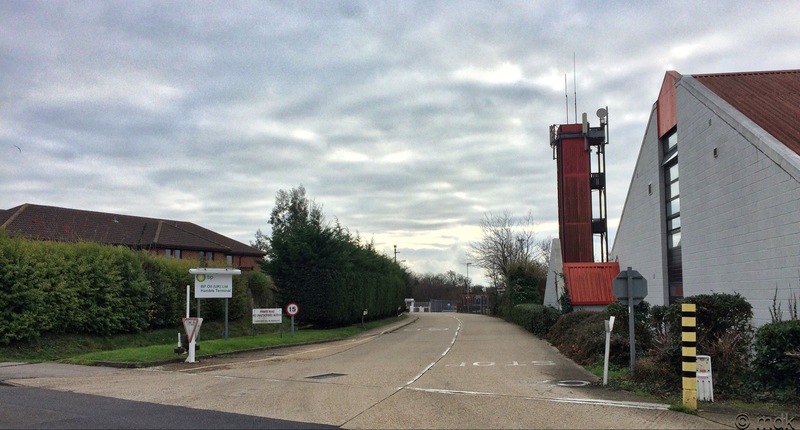 “This is Hamble Airfield,” Commando said, pointing out a large granite sign. 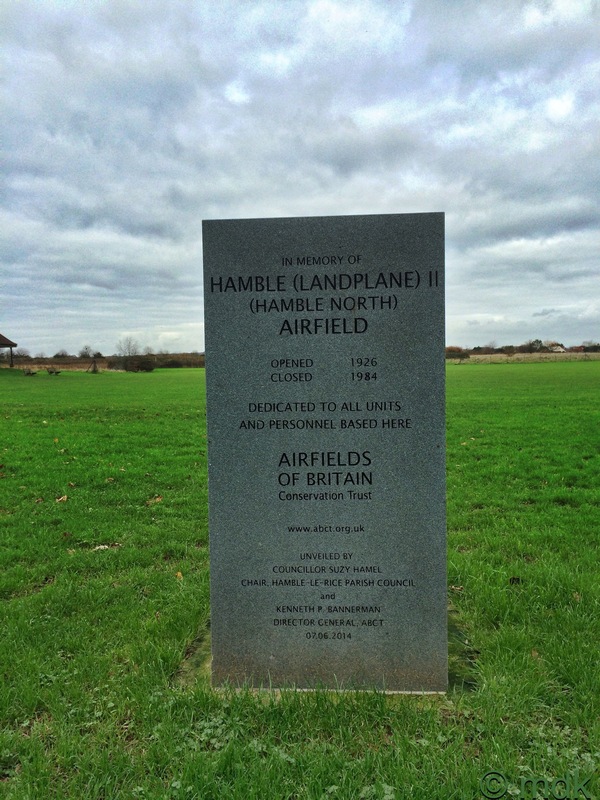 There were actually two airfields in Hamble and we were standing on the newer North Airfield, opened in 1926. By January 1931 the Armstrong Whitworth Aircraft Reserve School had taken up residence on the North Airfield, which later changing its name to Air Service Training Ltd. Within ten months the first female pupil, the Honourable Mrs Victor Bruce, had signed up, she would not be the last woman to fly from Hamble. In 1932 the second was Amy Johnson who took a blind-flying course with the school. The airfield really came into its own during World War II when it was used by aircraft undergoing repair. In September 1940 an Air Transport Auxiliary Ferry Pool, created to move aircraft between factories, maintenance units and airfields, was set up in Hamble, lead by Captain Brian Wardle. The ATA used volunteers to fly the planes, leaving RAF pilots free for operational duties. At first only male applicants were accepted, mostly men who, through age or physical limitation, had not been accepted by the RAF. 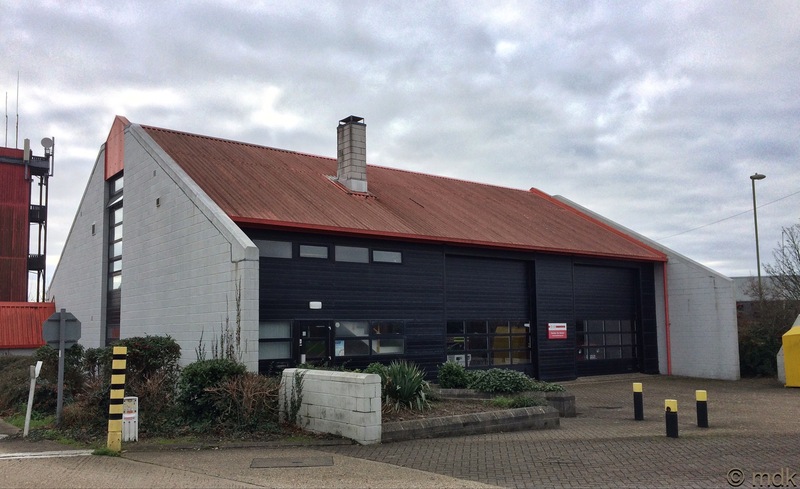 Soon women began to join and, within a year Hamble had become the first of only two all women ferry pools with Margot Gore as Commanding Officer and Rosemary Rees as her deputy. This was the first organisation to treat men and women equally, with the same pay and duties. From our vantage point on the path we could see the masts of the yachts in the Marina and it was difficult to imagine this as a bustling airfield. During the war though this was not a safe place to be. Even before the ATS arrived bombs were being dropped on Hamble. 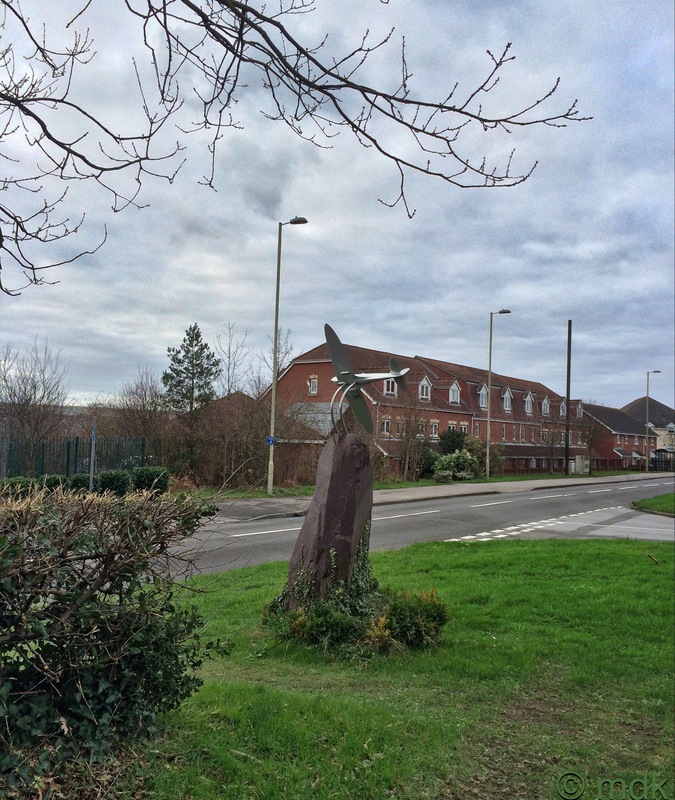 In July 1940 four fell quite close by and in November that year, when Southampton was being raised to the ground and the ATS operations had hardly begun, incendiary bombs fells on the airfield. 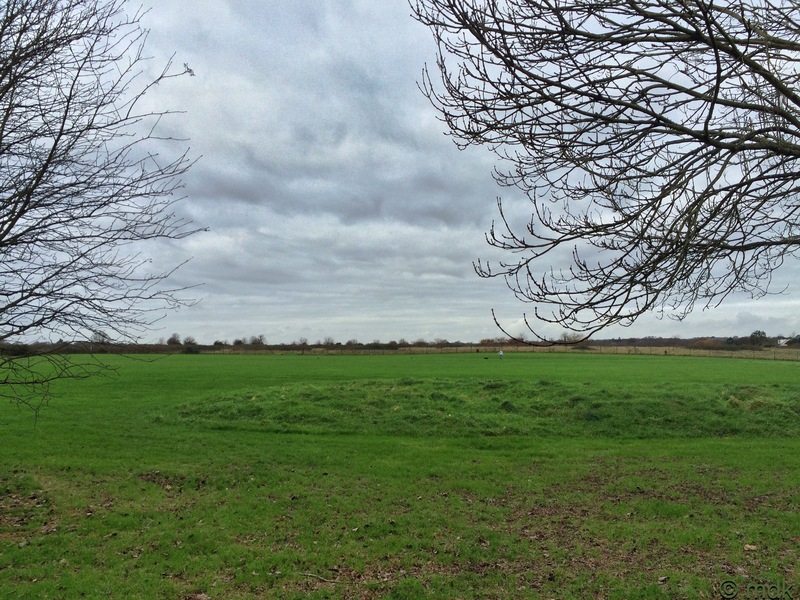 A large bomb fell on the airfield in January 1941 but, luckily, no one was killed. Three months later the Bofors Gun was set up on the shore but even then the bombs continued to fall. Just six days after the gun arrived four parachute mines landed in the area. One even fell on the storage tanks at the oil terminal but fortunately didn’t explode. 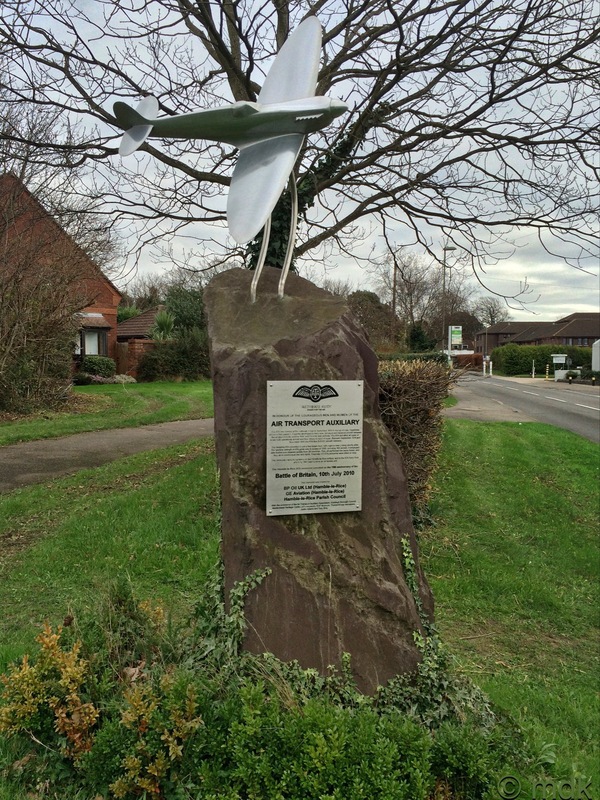 Guided by Commando we walked back to Hamble Lane talking about the bravery of those women pilots who flew without raidos, guided by maps and Ferry Pilot Notes booklets to help them fly aircraft they may never have flown before. Pretty soon we were standing in front of the ATA memorial unveiled on 10 July 2010. 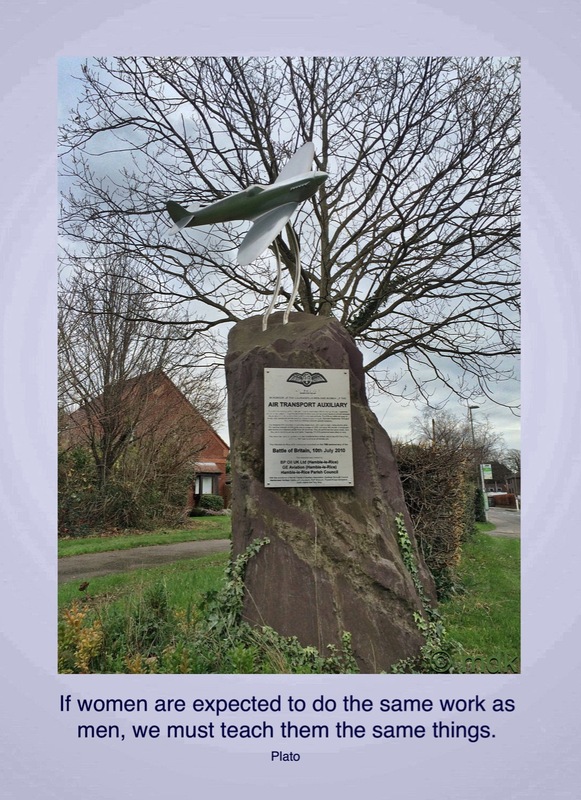 The idea for the memorial came from Tony Bray of Netley who contacted BP Oil UK Ltd (Hamble-le-Rice)) and the Hamble-le-Rice Parish Council back in 2008. 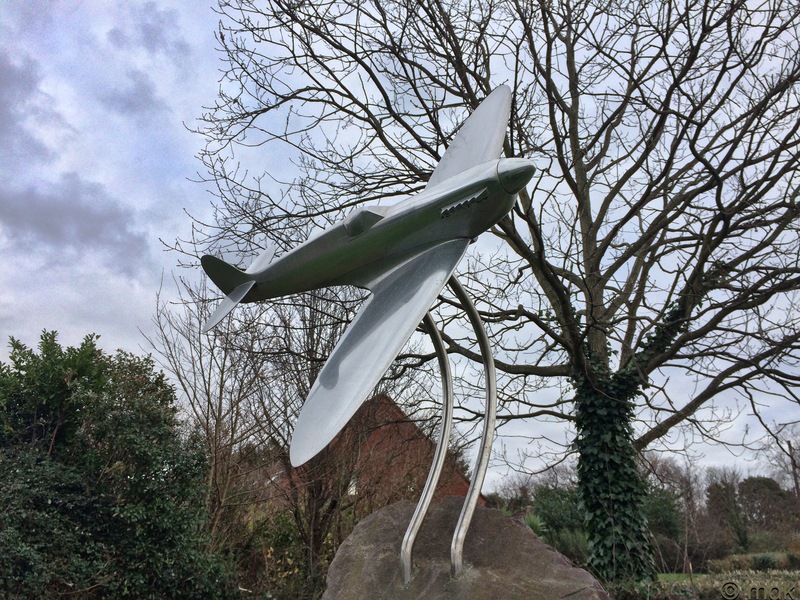 Standing on a base of Welsh slate is a beautiful solid aluminium spitfire built by GE Aviation, where Commando works, using Vickers Supermarine drawings and aluminium donated by Thyssen Krupp Aerospace. Sadly, Commando did not build any of it. 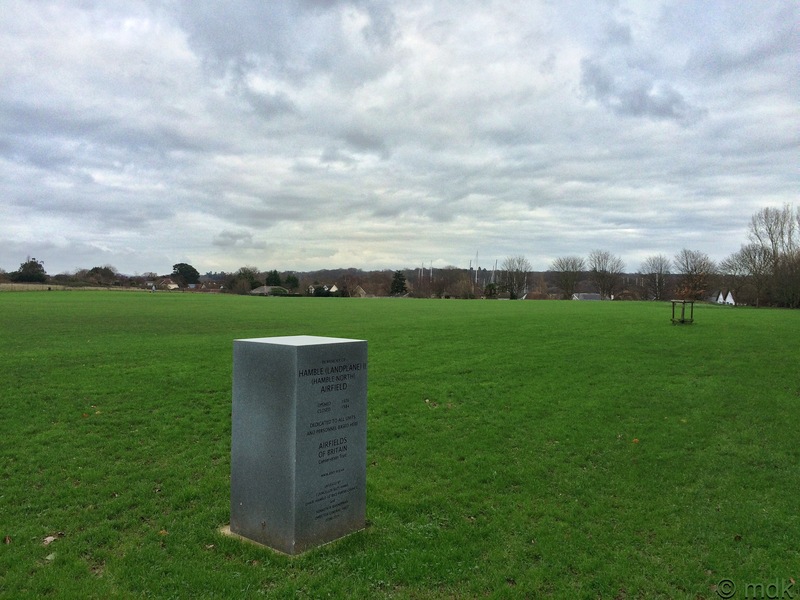 More information about the building of the memorial can be found here. 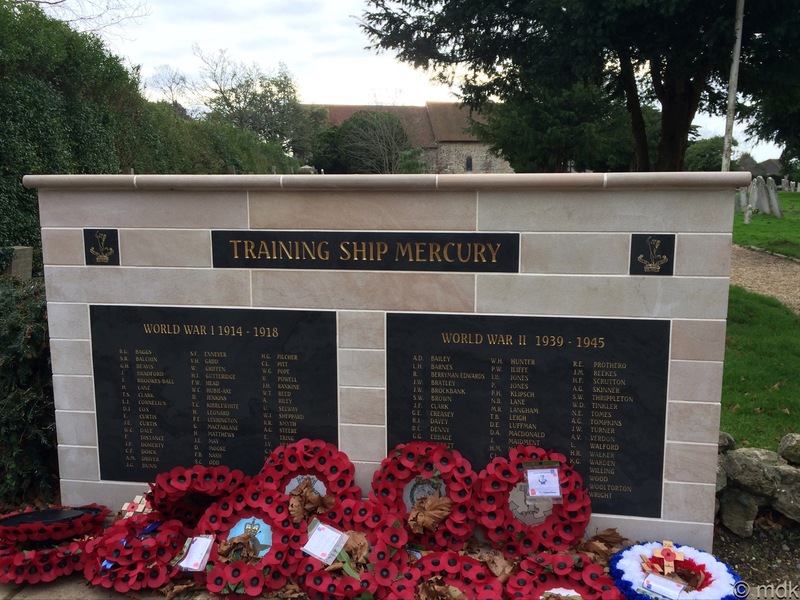 We all agreed it was a fitting tribute to the brave women pilots of the Hamble Ferry Pool who flew over one hundred types of aircraft including, Spitfires, Hurricanes, Lancaster, Halifax and American B17 Flying Fortress bombers. Inevitably some women were killed. All in all 173 ATA aircrew died in ATA service, most famous amongst them was Amy Johnson who was killed when her plane crash landed in the Thames Estuary. In a time when women were expected to give up work when they married and women’s liberation wasn’t even thought of these women stepped into a man’s world and proved they could excel. By the end of the war the ATA had delivered three hundred and nine thousand aircraft and four of the female pilots at Hamble received MBE’s for their efforts. Flying finally ceased on Saturday 11 August 1945 and the Ferry Pool closed four days later. The airfield continued to be used for training until April 1960. 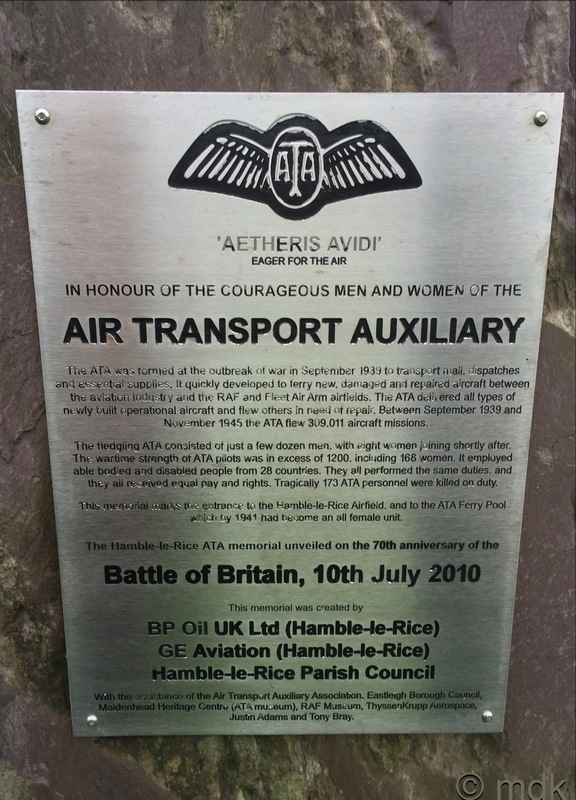 The ATA memorial is right opposite the Hamble Fire Station and the entrance to the BP Oil Terminal where my Rail Trail walk a year or so ago came to an abrupt end. 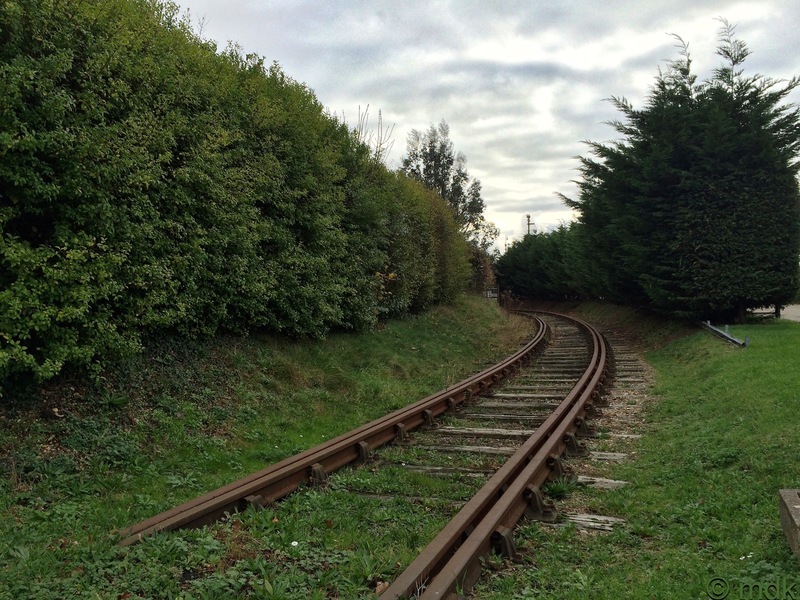 The tracks run beside the terminal entrance and the big sign saying Private Road, No Unauthorised Access had put me off going any further. 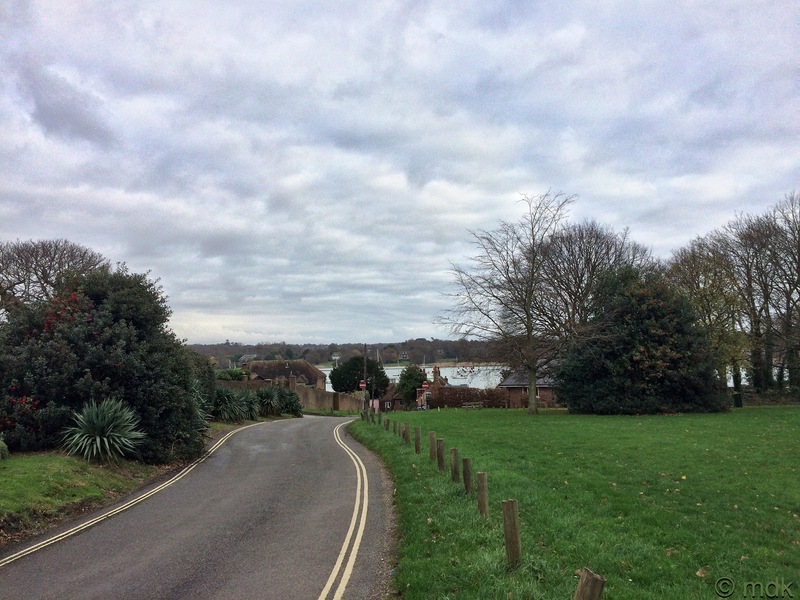 In the end I walked back up Hamble Lane to the footpath to Victoria Country Park. Looking at it now though, I think I might have been able to get to the beach from there. Maybe if I hadn’t had Commando and CJ with me today I’d have had a little wander. 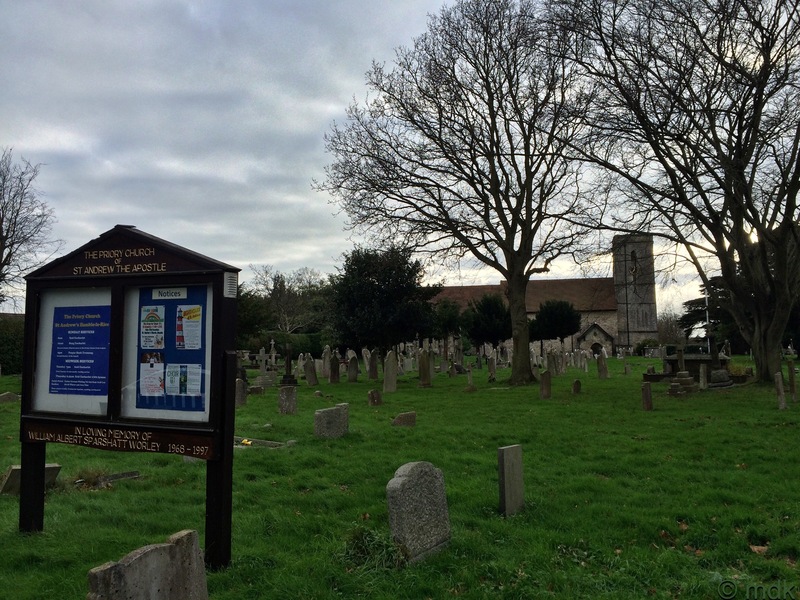 A little further on we came to the Priory Church of St Andrew the Apostle. 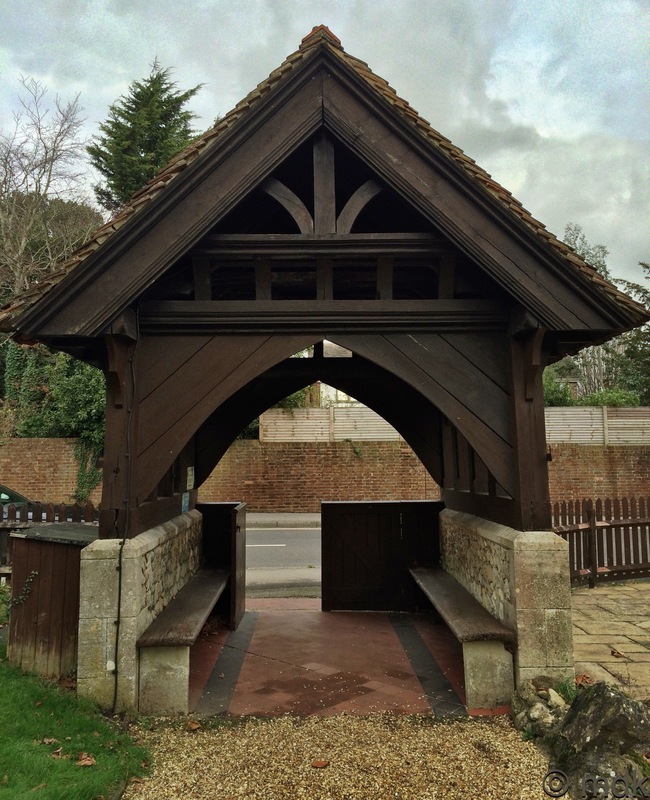 Sadly, we didn’t really have time for a visit but we did stop for a moment to look at the war memorial near the lovely lychgate. 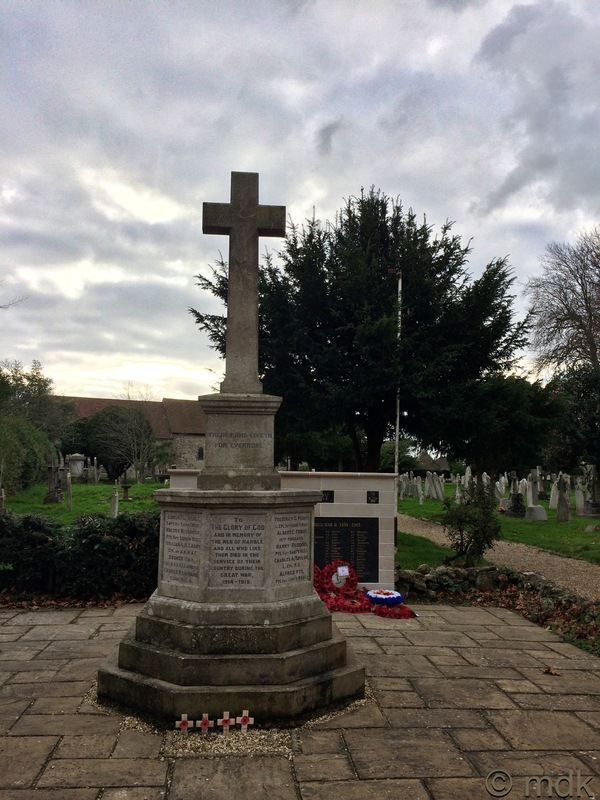 In fact there were two memorials, one to the men of Hamble lost in World War I and, behind it, to the eighty three sailors who trained on HMS Mercury on the River Hamble and were lost in both world wars. This second monument was only unveiled in September but was sporting an impressive display of poppy wreaths. 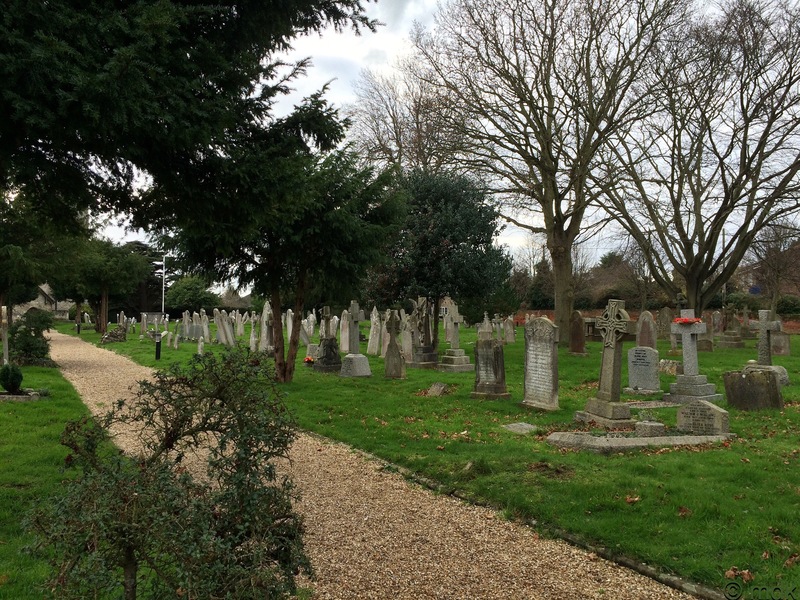 Of course I was itching to have a look at all the gravestones but, as neither Commando or CJ are all that keen on looking at graves, I followed them back through the lychgate. A more thorough exploration of the church would have to wait for another day. The seventeenth century Gun House is something else that warrants another visit. We passed it a little further down the High Street and I stopped for a couple of quick photos and then had to run to catch up with my impatient companions. This is a very interesting house, reputed to have been used for brandy smuggling. 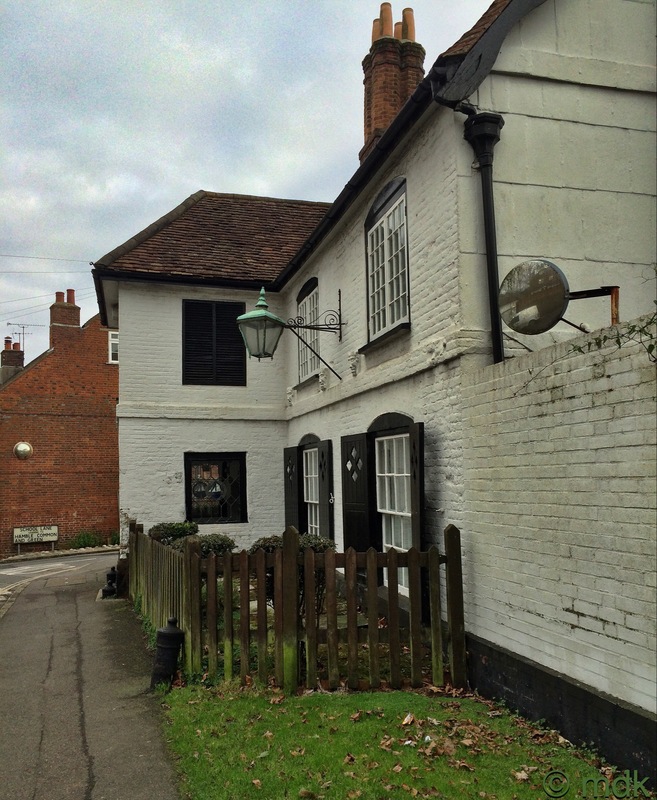 By the time I caught up we were back in the square and our visit to Hamble was over. It had been a pleasant stroll for a Sunday afternoon, if a little shorter than I’d like, and it was good to have a guide who knew his way around Hamble. All three of you exploring. This must be a first for this blog! 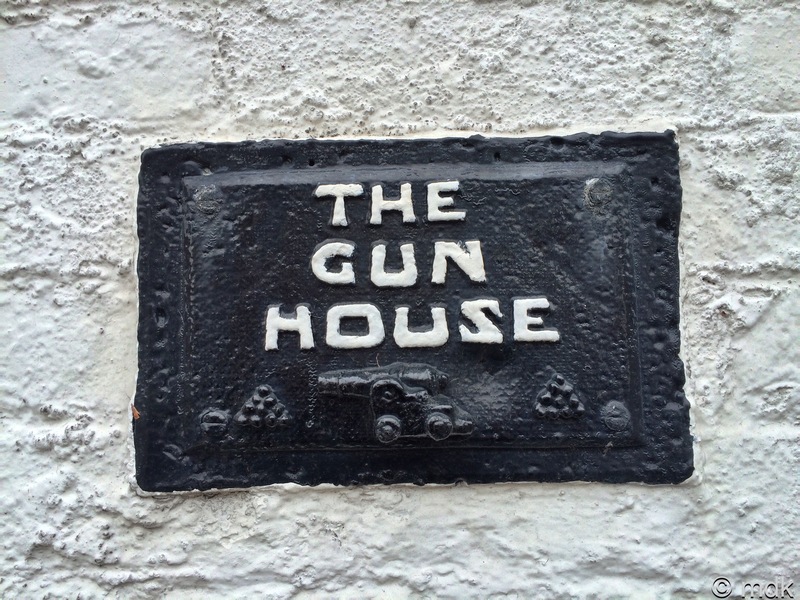 The gun house does sound interesting. I hope you make it back. It is. I need to go back and explore further. Very interesting snippet of local history. What about the vehicle manufacturers Glover Webb & Liversidge on the airport. I felt sure they were still flying upto the late 70’s when they had Chipmunks there at the ATA. Also many foreign students learnt to fly . The Air Service Training did end in 1960 but the airfield continued to be used until it went into receivership in 1984. Between 1960 it was used by the College of Air Training and hangars were leased to Strachans Bus Body Builders and, later, as you say, Glover Web. 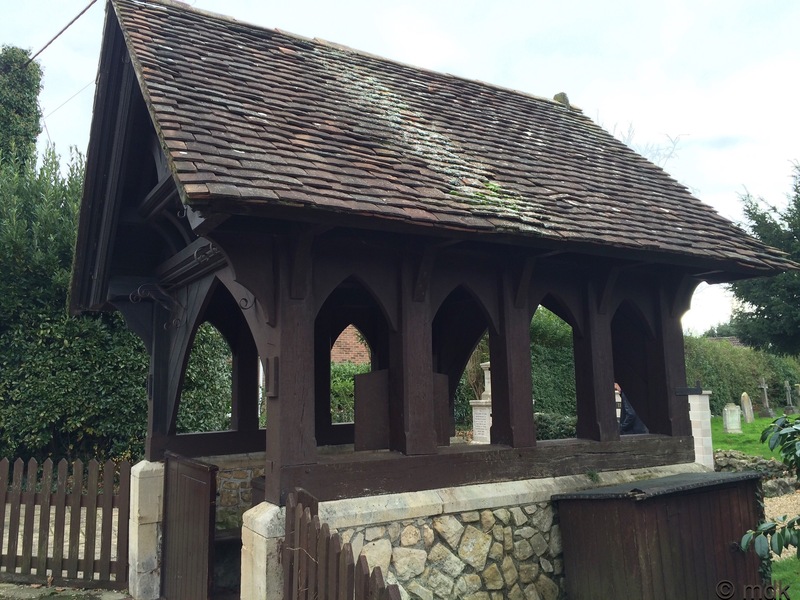 Mary, a great insight into this lovely village. I grew up in Hamble and my parents house backed on to the Glover Webb site (where I worked after leaving school). You mentioned Hamble Manor House. I do remember the local village bobby got moved out of Hamble because of a big “drugs bust” in Hamble Manor. Thank you. I think I recall that drug bust too!